If you want to create a room within a room in your house, you could use some plasterboard and some nails, or you could buy the Thermaltake Level 20 XT. 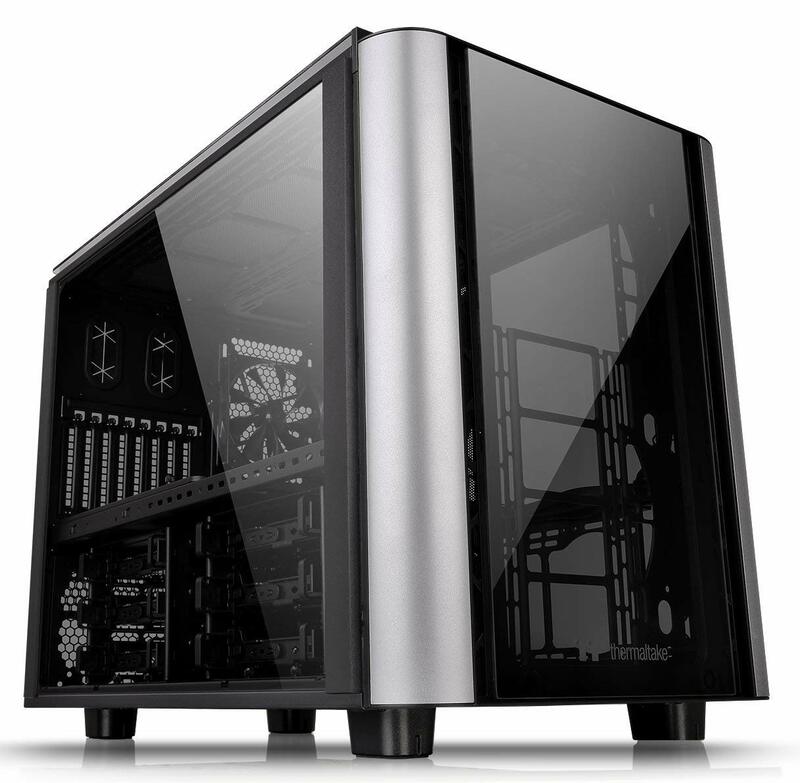 This enormous E-ATX chassis has its roots in the Core X-series (such as the Core X1) in that it lays the motherboard down horizontally to create a fairly low lying cube case. The Level 20 series aren't just glass-clad versions of the Core X series, though, as the various counterparts are all different sizes. For example, the giant Core X5 is taller than the Level 20 XT but considerably less wide and deep. A lot of those added dimensions are, of course, down to a re-sculpted exterior that sports rounded front corner braces and four tempered glass panels covering the sides, front, and roof. Thankfully, the gaps for airflow are fairly large, although the results are that there are some sizeable gaps that aren't dust-proof. The sides and roof panels all slide off giving decent access to the cavernous interior, which makes fitting fans and radiators especially easy. The side panels have a good ratio of glass to steel, although this does mean you'll need to spend some time cable tidying, as most of the lower chamber is visible. However, the panels themselves are solid, and the whole case feels a little less tinny and rattly than the original Core X series does. The downside, as with any cube case, is that the footprint has its own postcode area, requiring more space than a typical E-ATX tower. More evidence that the Level 20 series isn't just a pretty glass face is on the front panel, with the inclusion of a USB 3.1 Type-C port plus a quartet of Type-A ports. However, we can't help feeling front-mounted ports and buttons would have been better, even though the case only rises to 39cm, seeing as it will likely be desk-bound rather than floor-bound - it's clearly designed to show off, after all. The base includes removable dust filters for the case fans and PSU, which are a tad fiddly to deal with compared to slide-out or magnetic filters. Again, you can see plenty of areas that are not covered by filters, potentially leaving the interior at the mercy of dust and requiring regular vacuum sessions. Drive bays 6 x 3.5"/2.5", 1 x 3.5", 2 x 2.5"